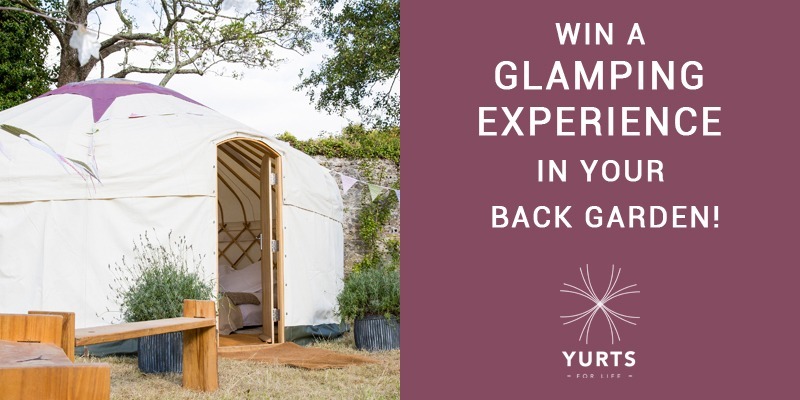 WIN A GLAMPING EXPERIENCE IN YOUR BACK GARDEN! We are on a mission to get more people outdoors in style, so we’re offering you the chance to experience a Glamping weekend in your back garden. This prize package is worth £1000! To be in with a chance of winning, simply show us Yurtology in action! You, out enjoying the great outdoors, embracing a fun-loving lifestyle! Your creative thinking in action – the only limit is your imagination! Deadline for entries is May 31st. All entries will be entered into our free prize draw and announced in June. T&Cs apply. T&Cs: The prize package comprises 1 x 18ft Yurt (5.35m diameter) with Celestial Twin or King Double, worth £1000. Specifications: this requires an outdoor space that is at least 24m2, and with reasonable access. The Yurt will be pitched on a Thursday and taken down on Monday. Weekend to be agreed between YFL and winner. Delivery limited to mainland UK. Spending time in nature has been proven to have significant positive effects on energy & vitality, reducing stress, anxiety and heart rate, whilst also improving our cognitive function, overall health, mood and quality of sleep. The very essence of a Yurt is about being close to nature, stepping outside, drinking the wild air, making the most of your natural surroundings, living well, being happy wherever you are! When you look at it like that, Yurts for Life becomes more than just our company name. It becomes a rallying cry, a call to action, a movement that forms the foundations of our philosophy, or as we like to call it, Yurtology – the driving force behind everything we do.